The future always feels one step ahead. But not at Nissan. With Nissan Intelligent Mobility it makes driving more personal, empowering, and exhilarating. It changes the way you drive and interact with your car. 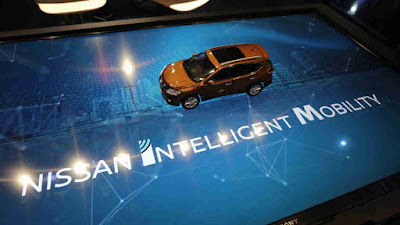 Nissan wants you to experience what Nissan Intelligent Mobility can do. At the Manila International Auto Show, they are presenting a new way to test drive. Using projection mapping and interactive displays, they’re showing you how Nissan Intelligent Mobility levels up your drive; how it makes driving easier, safer, and more convenient. Making the deal even sweeter, reserve any Nissan vehicle at the show and you’ll be entitled to these special offers: discounts up to P 100,000 on top of existing promotions, and a chance to win free Shell fuel for up to 5 years! See you at the Manila International Auto Show. April 4-7, 2019 at the World Trade Center.